‘Screen For Life’, Qatar’s National Breast and Bowel Cancer Screening program, led by the Primary Health Care Corporation (PHCC), has launched a month-long campaign across social media and radio, in line with the global Movember movement which highlights men’s health issues, to raise awareness of the program and encourage people to undergo screening for bowel cancer. 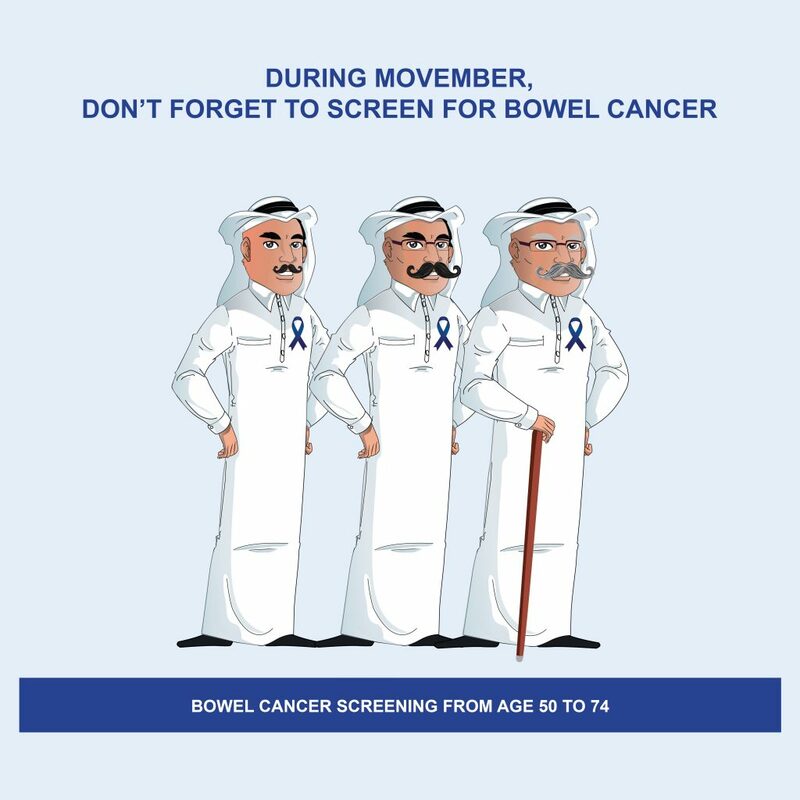 The campaign, titled ‘During Movember, don’t forget to screen for bowel cancer,’ see the ‘Screen For Life’ team engage with communities, citizens and residents across Qatar through the media campaign and awareness lectures emphasizing the program’s goal and stressing the benefits of screening in the early detection of cancer. The campaign encourages men and women 50 -74 years old to undergo screening for bowel cancer at one of the three dedicated ‘Screen For Life’ facilities at Al Wakra, Leabaib and Rawdat Al Khail Health Centers. This latest awareness drive follows the hugely successful Breast Cancer Awareness campaign held throughout October, during which the ‘Screen For Life’ delivered a total of 15 awareness lectures and partnered with more than 30 public and private sector entities to enhance knowledge levels of the ‘Screen For Life’ program. “Movember is an important global initiative to raise awareness of men’s health issues and it represents an essential opportunity to reach out to the community to continue raising awareness of bowel cancer screening,” said Dr. Shaikha Abu Shaikha, Cancer Program Manager, PHCC. “We were hugely encouraged by the response to the October campaign and are confident to keep on raising awareness of the importance of both breast and bowel cancer screening will have similar effects,” Dr. Abu Shaikha, said. “We want people to know we are there for them, and it is important that they take a proactive approach with their health by calling the call center and booking an appointment at one of our facilities,” Dr. Abu Shaikha added.